"What would happen If Stalin was good at Instagram...."
Congratulations to our 2019 Teachers of the Year! 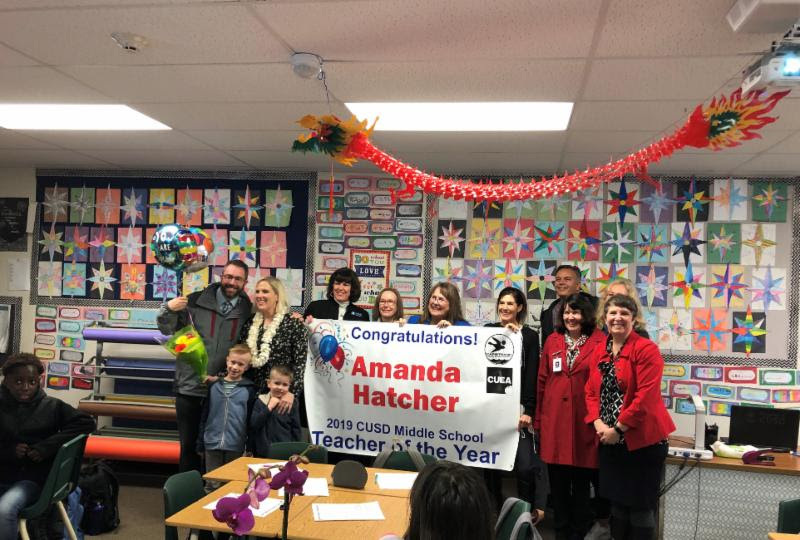 Three Capistrano Unified School District teachers have been named “2019 Teachers of the Year” for their outstanding commitment to engage all students in learning. District officials, school colleagues, friends and family gathered to announce the winners during surprise classroom celebrations on February 4, 2019. District Board of Trustees President Gila Jones, Trustee Judy Bullockus, Trustee Amy Hanacek, Trustee Patricia Holloway, Trustee Martha McNicholas, Superintendent Kirsten Vital, District Executive Cabinet Members, and Capistrano Unified Education Association President Joy Schnapper were present for the celebrations, and congratulated the winning teachers – Jill Brick, Amanda Hatcher and Ashly Ogden – for their unwavering commitment to student success. The winning educators were selected as Teacher of the Year by their respective schools before advancing as candidates for the District’s 2019 Teacher of the Year honor. The three teachers now advance to the Orange County Teacher of the Year competition later this year. Jill Brick has been teaching at George White Elementary School since the school first opened its doors 29 years ago. Her goal as an educator is to instill the joy of learning in a safe classroom, while motivating all students to strive to become life-long learners. 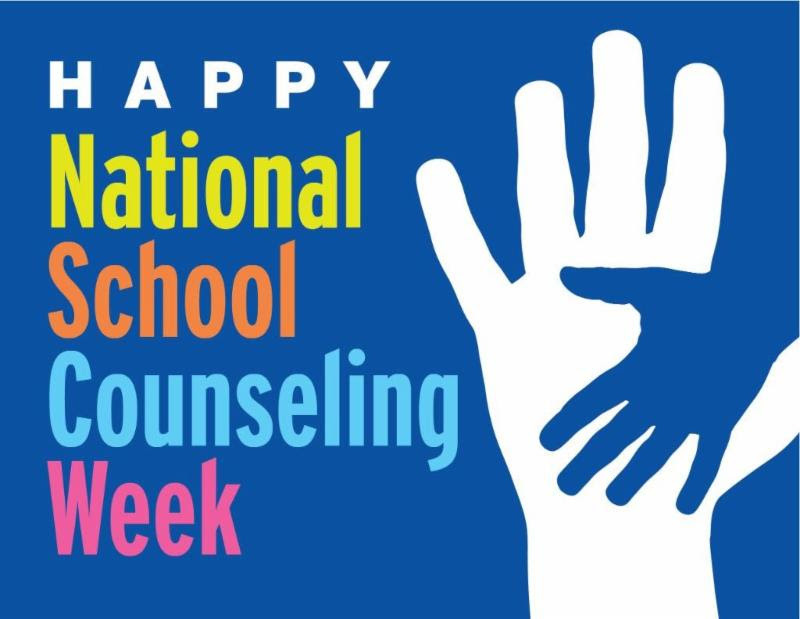 “Every day is a new chance for me to make a difference in someone’s life, every year is a new adventure, every student is a new relationship,” she says. Watch the moment we surprised Mrs. Brick HERE! As the Peer Assistance Leadership (PAL) advisor, she strives to engage allstudents in leadership development opportunities, empowering them to solve challenges, take on social issues and educate their peers. 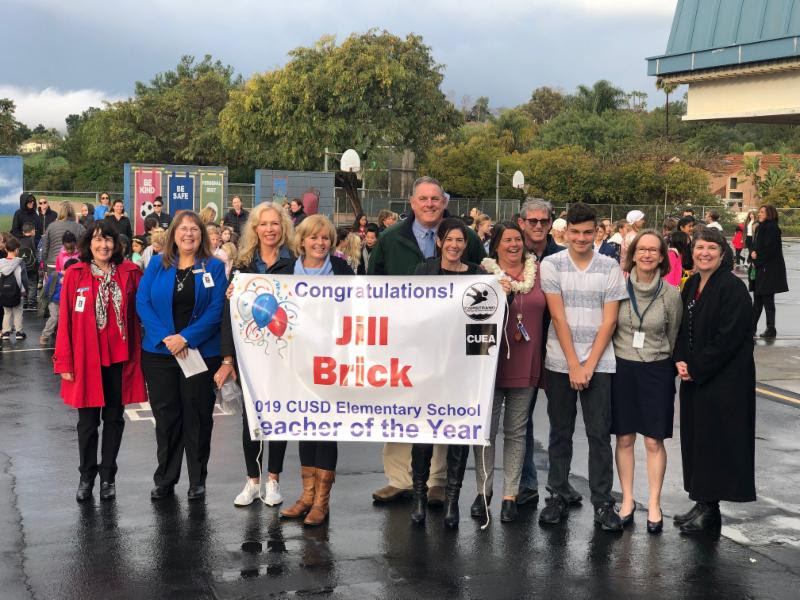 She is a “complete servant at heart, utilizing her ability, heart, personality and experiences to further the opportunities of her students and professionally support her peers,” says Ladera Ranch Middle School Assistant Principal Jim Christensen. Watch the moment we surprised Mrs. Hatcher HERE! 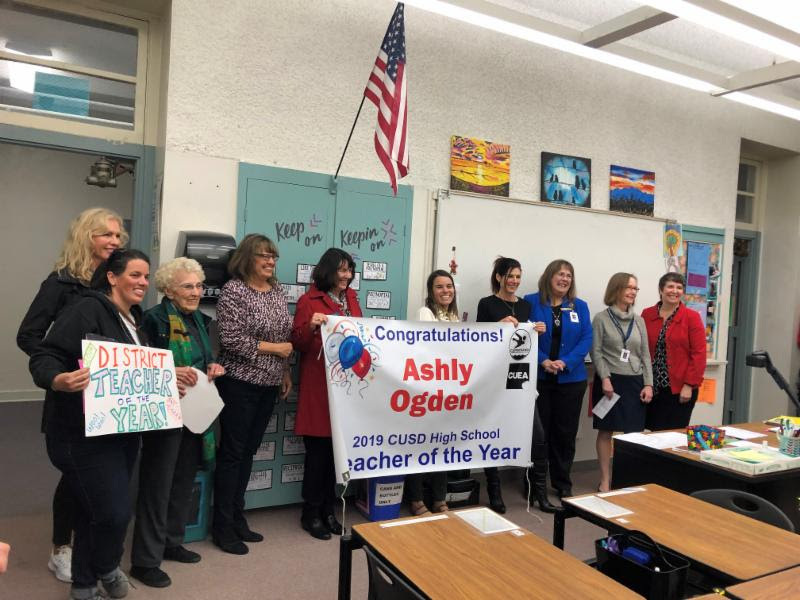 Ashly Ogden has been a teacher in Capistrano Unified School District for eight years. During this time, she has taught a variety of courses within special education, and currently teaches general education math at Serra High School. Ms. Ogden ensures all her students have a strong foundation in math, in a classroom where the subject may feel frustrating or overwhelming. “Her personal mission is to ignite excitement about math,” says Serra High School Principal Meg Ervais. She does anything she can to engage students in a challenging subject by joking, dramatizing, and even dancing when needed! Watch the moment we surprised Ms. Ogden HERE! Teacher of the Year recognition by school site! In January 2018, our incredible students came together to reduce single use plastic in CUSD schools. Jackson Hinkle, a recent graduate of San Clemente High School, proposed the #PlasticFreeCUSD movement. 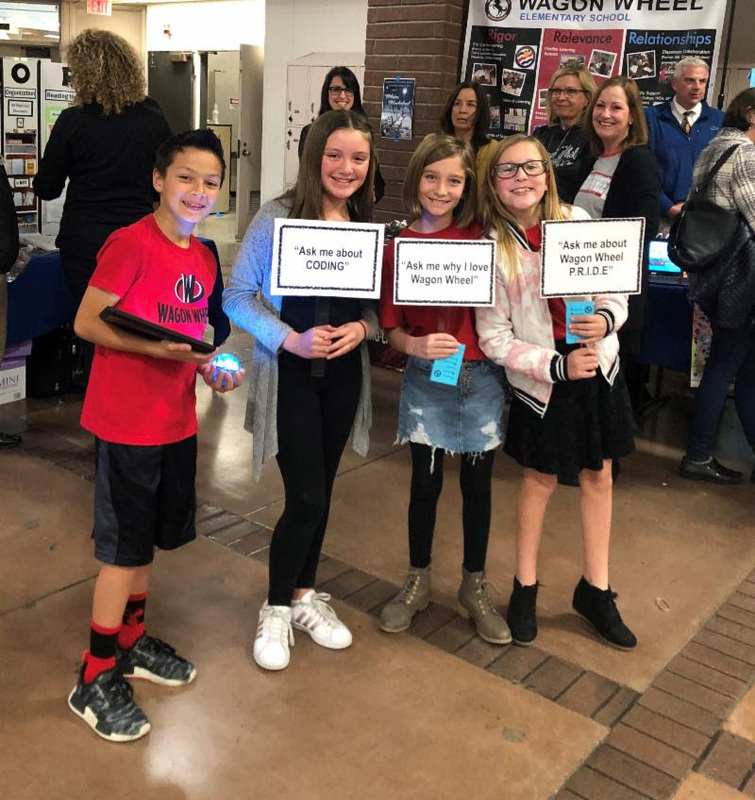 Through this student-led initiative, JUSTWater was brought in to replace PET plastic water bottles as a sustainable option in over 60 schools within CUSD. A year later, CUSD has eliminated nearly 9,000 pounds of plastic from our schools! We are #CUSDProud of our students for making a difference to help the environment. Thank you to the JUST Water Team and CUSD Food & Nutrition Services! Together, we are making strides towards a better future! 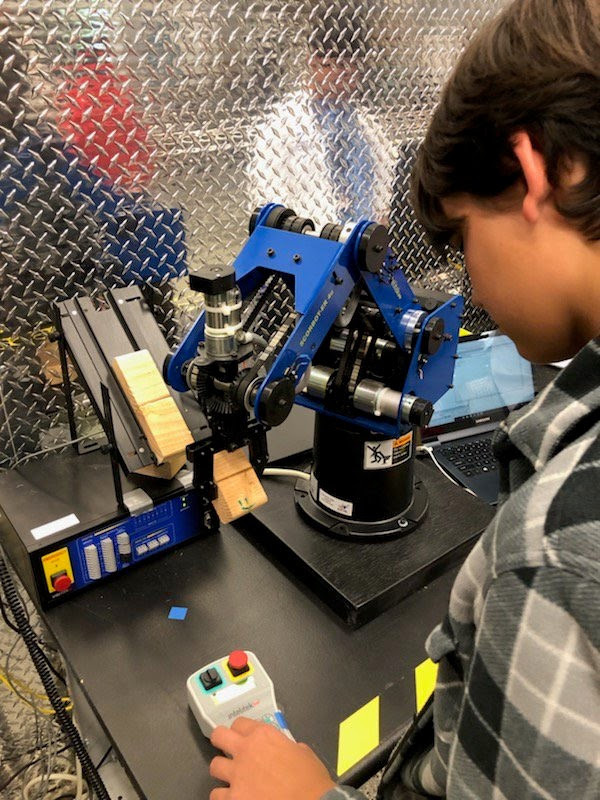 Thank you to everyone who attended the Second Annual Innovation Showcase on January 23, 2019! 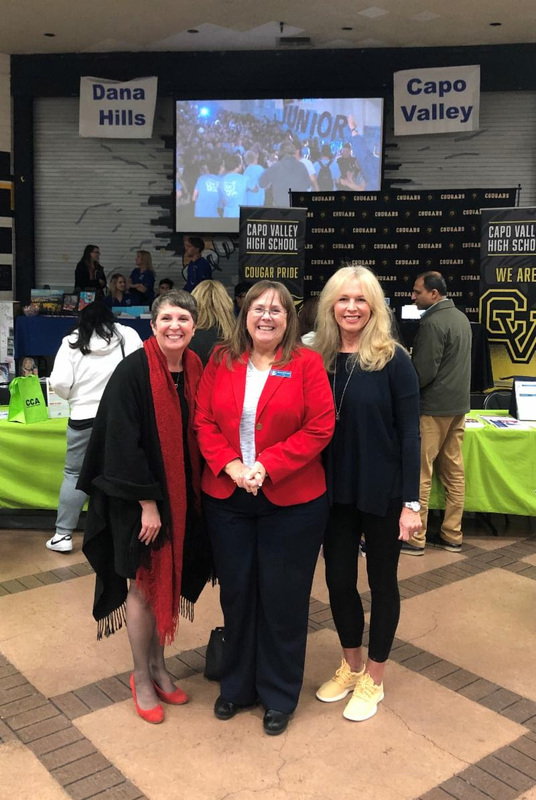 The event highlighted the extraordinary education programs, pathways and choices available to our CUSD families including our CapoForward Schools, Preschool Programs, Visual and Performing Arts, Athletics, Language Immersion, Full-Day Kindergarten, College and Career Planning, Film, Robotics, Engineering, Culinary Arts, our HMO Program, and many other college and career pathways for our students. Did you join us for the Showcase? We want to hear from you! Email us at communications@capousd.org with your favorites from the event + suggestions for next year! Check out our highlights from the night in the photos below! 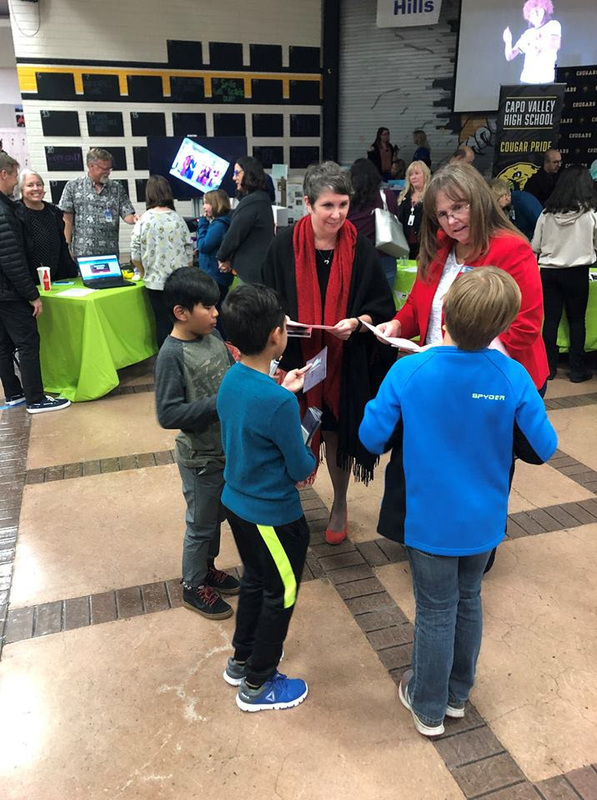 Capistrano Unified School District's School of Choice (SOC) program offers parents within the CUSD boundaries the opportunity to apply for another CUSD school that they would like their child to attend. The SOC window to apply is open from February 1, 2019 through March 1, 2019. To verify if your address is within CUSD boundaries or to find your home school, please use the School Locator tool here. If you do not live within the CUSD boundaries please click here to find more information about Inter-District transfers. Click here for the list of schools open to SOC for the 2019-2020 academic year. Openings are based on the initial number of seats available for the fall based on projected enrollment and facility capacity. Once a site capacity is reached SOC will be closed to that site. Parents will need to enroll their child at their home school in order to obtain a 7 digit student identification number. This ID number is required to complete the SOC application. New student registration began on February 4, 2019. Kindergarten parents should also attend the home school’s Kindergarten Round-up. The information given will be standard throughout the District, so there is no need to attend the requested school’s round-up. Click here for Kindergarten Round-up dates. Please note that TK placement is not completed through SOC. Please contact the Early Childhood Programs Department for any preschool or TK questions. 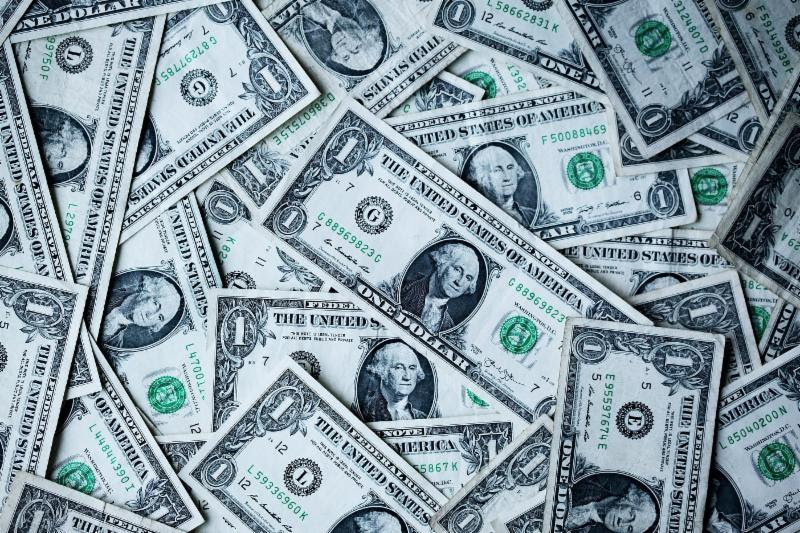 Governor Newsom shared details of his proposed budget earlier this month, which included a cost of living increase to the current funding provided by the state for the education of our public school students, as well as one-time funding for employee pension costs. While this budget has been called a homerun by some politicians in Sacramento, for us, it’s more of a base hit. Overall, this budget is a 1 percent improvement above the first interim projections. While this budget is an improvement over budgets from the last several years under Local Control Funding Formula (LCFF), CUSD remains one of 25 percent of Districts in the state that is underfunded. California remains at the bottom10 percent of states in per-pupil funding and until that changes we will continue to be challenged by a broken school funding formula that was written in Sacramento. The two primary factors affecting the District budget in the Governor’s 2019-20 proposal are the Cost of Living Adjustment (COLA) increase and the $3 billion STRS rate buy down. Since full implementation of the LCFF, districts now only receive additional funds through the COLA, so fortunately the COLA is projected to be higher in 2019-20 than anticipated, resulting in an additional $79 per Average Daily Attendance (ADA). This ongoing revenue is offset slightly by a reduction in the COLA in one of the out years in the multi-year projection. In an acknowledgement that he is listening to districts about the difficulties of absorbing pension rate increases, the Governor also provides an additional $3 billion from outside proposition 98 which will go to CalSTRS as a way to ‘buy down’ the pension rates in future years by 1 percent in each of 19-20 and 20-21 and an ongoing 0.5 percent after that. Although the STRS rate still increases next year by 0.82 percent a reduction from projected rates frees up money in the multi-year projection for other uses. Money is also proposed for districts struggling with the costs of special education. $576 million is proposed to support expanded special education services and school readiness supports at Local Education Agencies (LEA) with both high percentages of students with disabilities and unduplicated students. CUSD is likely not eligible due to its low unduplicated count. The early childhood education proposal includes among others, universal preschool for all low income four year olds implemented over a three year period. More details on this will emerge later in the budget process. Unlike the previous several years this proposed budget contains no proposal for any one time monies. The Governor’s budget is headed in the right direction, but it does not go far enough to increase our overall per pupil funding costs. We will continue to work with legislators and our lobbyists to send that message. Thankfully, for the last 5 years, we anticipated these current budget challenges and have responsibly built reserves that, along with the efficiency plan we are currently putting in place, will allow us as a school district to continue to prioritize our funding and our resources towards our students and our classrooms. Today, close to 95 percent of our funding is prioritized to our students and classrooms and this remains our priority as we prepare budgets for the years ahead. All middle and high school social studies teachers are in their third year of administering the District Common Interim Assessment (CIA) for their students. The assessment is given twice per year and is the result of work done by Nina Glassen, District History/Social Science Curriculum Specialist, as a way to provide a meaningful assessment of student learning in social studies classes. Working with teachers, Nina determined that the Data Based Question (DBQ) process, founded in 2000 to support teachers and students in learning to read smart, think straight, and write clearly, would align with state standards and help prepare students to attain disciplinary literacy at a Depth of Knowledge level of three or higher; much better than other types of assessments that were available. Together with these teachers, Nina worked to identify DBQ units and assessments that could be used in all sixth through twelfth grade history/social science classes, and the assessments were launched. As a result, students are doing significantly better! The number of students who are proficient and advanced grew in both 2016-17 and 2017-18. The data is also used to build stronger skills among teachers - Improving morale and increasing confidence, as well as student work. 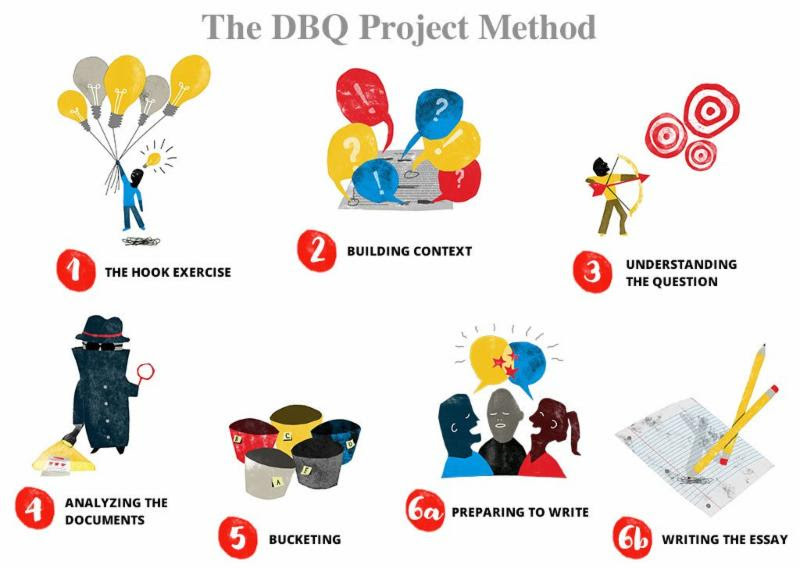 Chris Carter, San Clemente High School Principal states, "The DBQ Project has enabled our history-social science teachers to align the curriculum to the Common Core State Standards and has given them the skills to evaluate and assess student writing." Carter continues, "The DBQs act as common assessments that allow teachers to collaboratively evaluate our instructional program." Nina’s efforts were recently recognized by the DBQ Project, where she has also been invited to present as a guest presenter at an upcoming national conference. For the month of February we are emphasizing the importance of positive reinforcement as part of our "behavioral" support for all students. When students are provided with positive reinforcement, it will increase their motivation and inspire them to learn positive habits that will be beneficial and fruitful throughout their lives. Make sure you're following us on social media for upcoming parenting workshops! 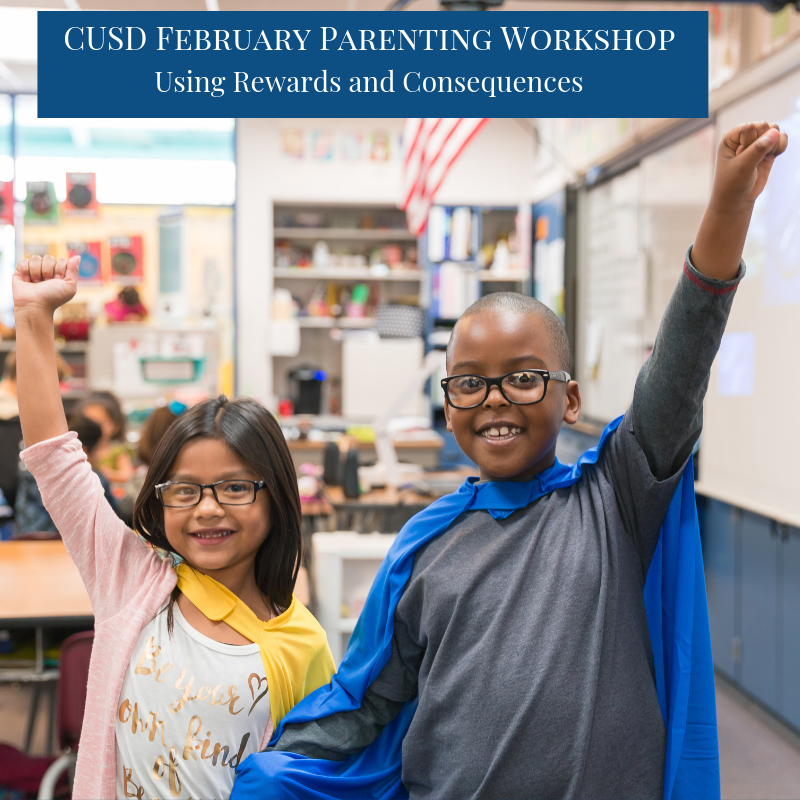 Check the "Upcoming Events" section of this newsletter for information on the March Parenting Workshop!